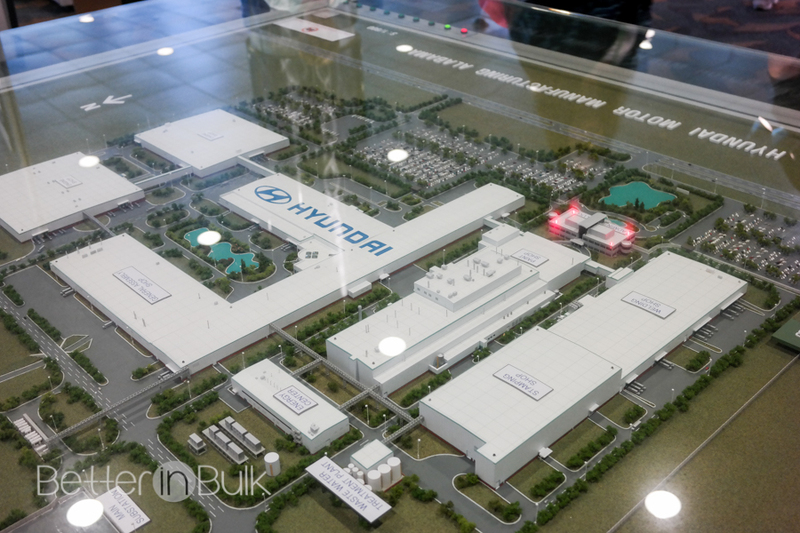 Hyundai invited me to Montgomery, Alabama, to experience the brand new 2015 Sonata and tour the Hyundai Motor Manufacturing Alabama (HMMA) plant where the Sonata and Elantra are made. Travel and accommodations were covered but all thoughts and opinions are my own. Introducing the new 2015 Hyundai Sonata, available this summer! It’s not every day that I get to tour one of the most technologically advanced manufacturing plant in the world. 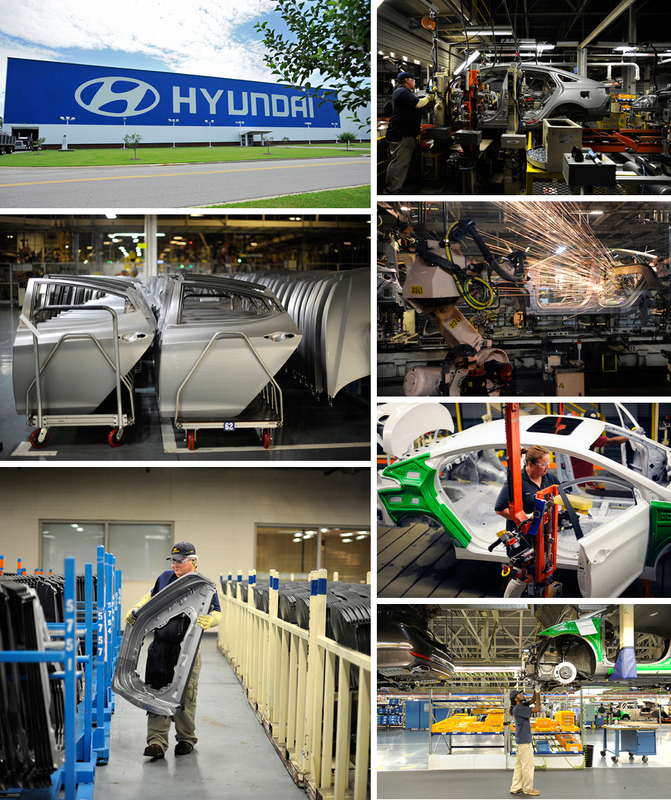 Hyundai Motor Manufacturing Alabama (HMMA), located in Montgomery, Alabama, was built in 2002 with production starting in 2005…and has already surpassed the 2.5 million mark in total production. While we saw amazing processes and machines putting the Sonata and Elantra together the secret to the success of HMMA is the team members. As much as I loved seeing the hundreds of hi-tech robots in action, the employees who stopped to wave and smile as we took our tour through the plant were what impressed me the most. Did you know? You can tour the HMMA plant just like we did for free. Tour Days and Times: Mondays, Wednesdays and Fridays at 9:30 a.m., 12:30 p.m., and 2:00 p.m by reservation only. 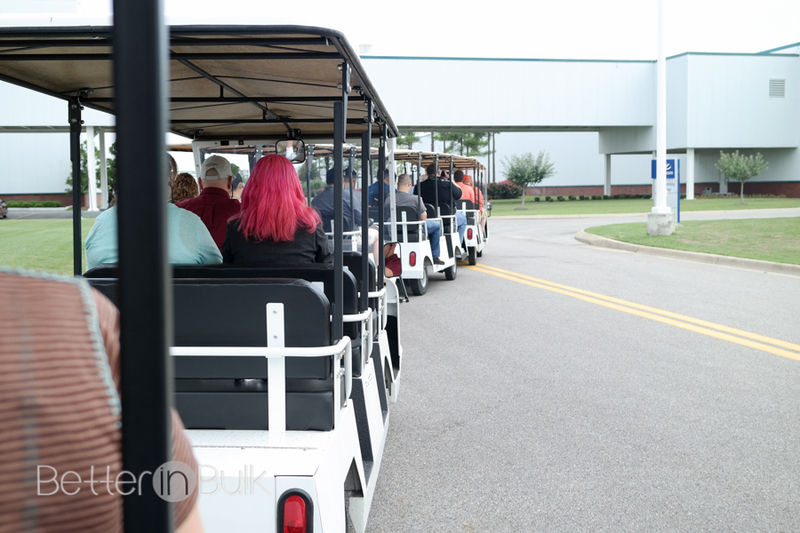 The most exciting part of the plant tour was when we came to the end. 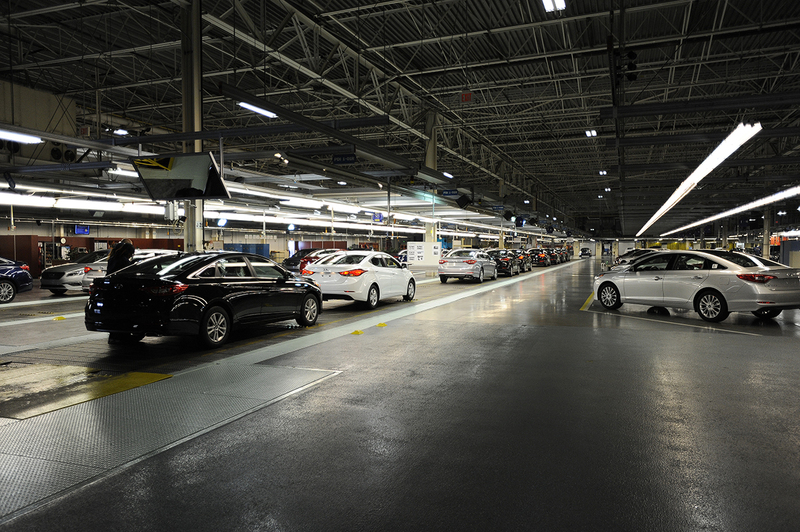 We saw a line of brand new 2015 Sonatas ready to come off the line and we were told to chose a car, get inside, start the engine, and drive the cars off the line and out of the factory. How exciting is that? 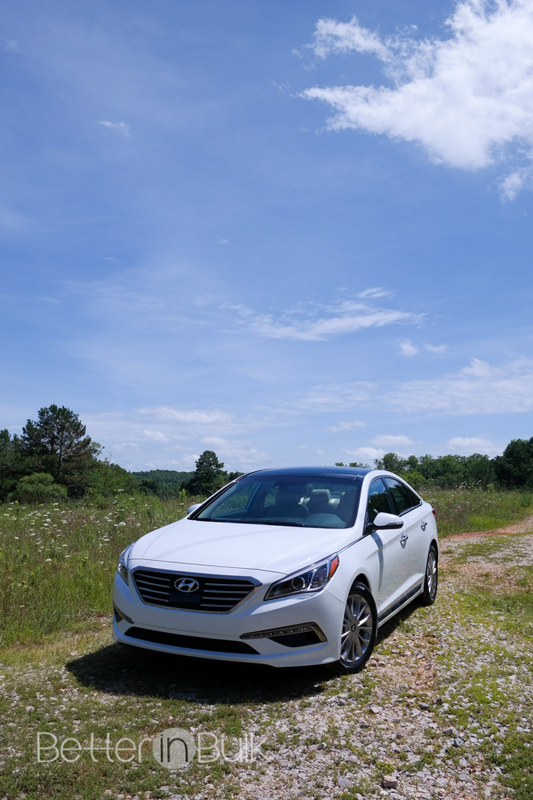 Our 4+ hours of driving took us through some beautiful country in Alabama, and I thoroughly enjoyed being behind the wheel AND in the passenger seat of the new Sonata. 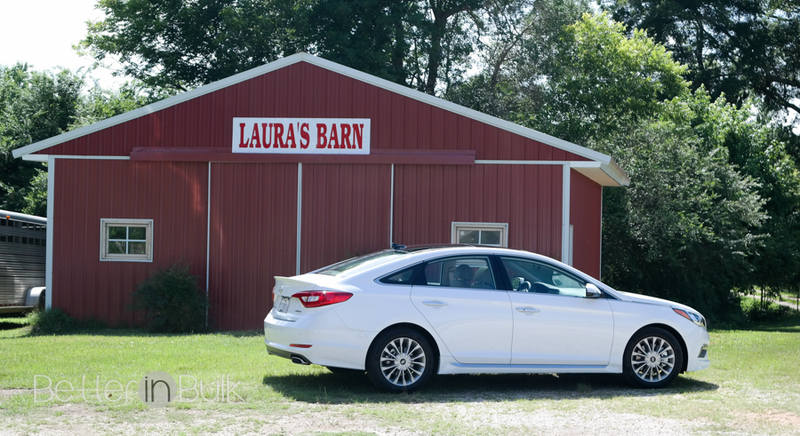 The 7th Generation Sonata is a car you can’t help but love. With a user-friendly interior and driver-focused cockpit, you can focus more on what you love about driving. I was impressed with the roominess of the Sonata, enhanced by the panoramic sunroof in the two cars I was able to drive. I also found that the lighter interior of the Limited model I test drove enhanced the feel of wide-open space in the car. 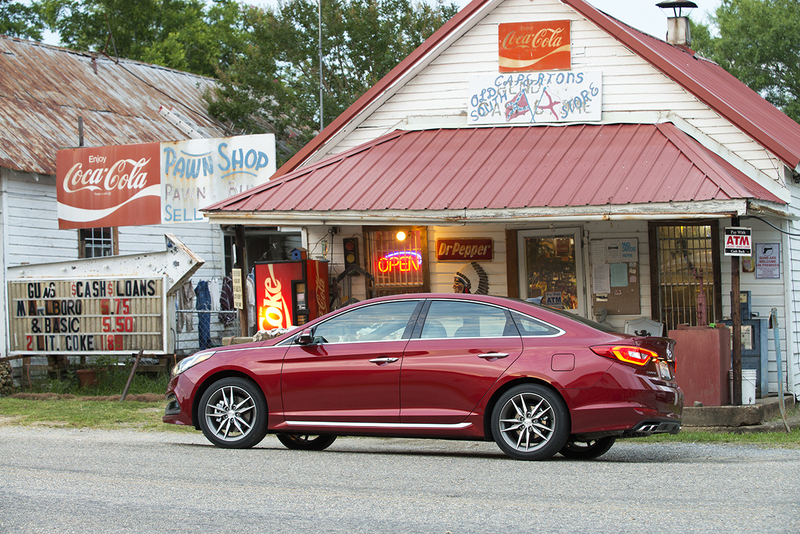 The 2015 Sonata is available in 3 models: The SE, the Sport (more volume), and the Limited (which is the premium model). The Sport 2.0T (2.0L Turbo) has an even sportier body and feel…and I can tell you from experience that you can tell the difference in the power it delivers with its more responsive turbo-charged engine. The new Sonata is available in 9 exterior colors and 4 interior colors. It has an incredible 106.1 cubic feet of passenger volume and a total interior volume of 122.4 cubic feet. That’s some nice leg room! 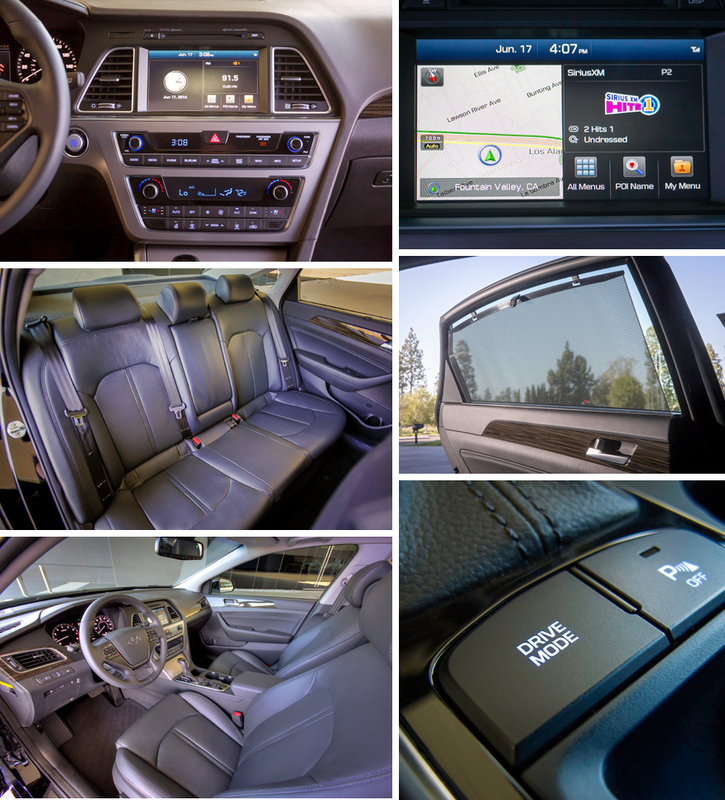 Not only does the 2015 Sonata offer space and comfort and better ride quality, but undesired outside noise has been drastically reduced with better sound absorption materials and reduced apertures in the bulkhead. It all comes together to create a pleasant driving experience. Standard 7 airbags, including driver’s knee airbag designed to help prevent the driver from sliding down the seat in a collision. Also standard: electronic stability control, vehicle stability management, traction control, ABS and tire pressure monitoring system with individual tire pressure display. Forward collision warning, blind spot detection, rear cross traffic alert, and lane departure warning system are all available. High beam assist so you don’t have to worry about blinding oncoming traffic when you forget to turn the high beams off again! Smart cruise control (SCC) with full stop capability with front-grille-mounted radar sensor so you can maintain safer, consistent spacing with the vehicle ahead. Smart trunk gives drivers a convenient hands-free way to open the trunk. No feet needed! The driver simply approaches the Sonata’s trunk with the key fob in a purse or pocket and waits 3 seconds. The trunk will automatically open. Built-in sunshades in rear windows. Heated AND ventilated (cooled) front seats – the cooled seats were truly amazing in Alabama in June! Plus, heated rear seats. Heated steering wheel included in Tech package. 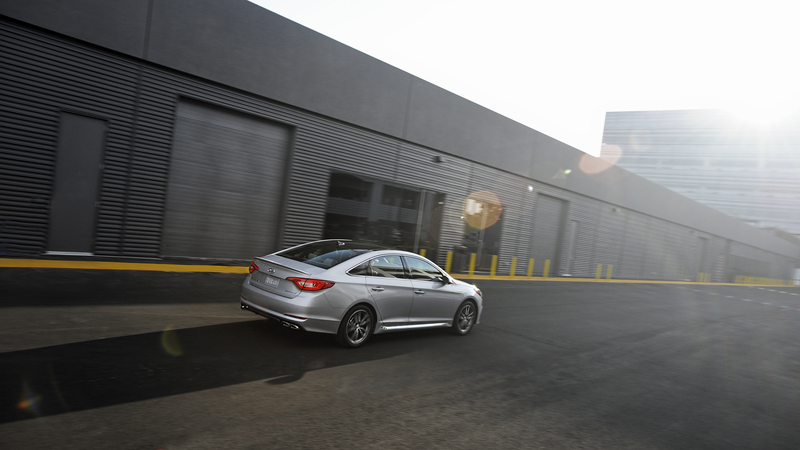 The 2015 model will be the second Sonata to offer the next-generation Blue Link system. and the debut of the new Sonata coincides with the launch of a new Hyundai Assurance Car Care in-vehicle app. Destination Search powered by Google – users can use the Blue Link button (voice recognition) and navigation display to take advantage of Google’s destination search. It’s so easy! Remote Start – includes a timer (from 1 to 10 minutes), remote stop, remote climate control, and remote defroster via the mobile app. Hyundai Assurance Car Care in-vehicle – Includes service scheduling, maintenance and warranty information, and a warnings and indicators guide as well as lots more. 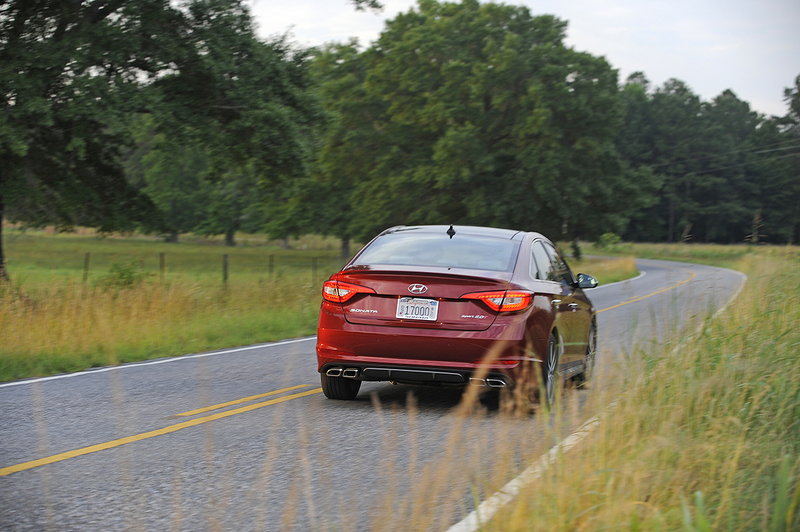 The fuel economy on the new 2015 Sonata varies from 23-28 MPG city and 32-38 MPG highway, with a combined 28-32 MPG. 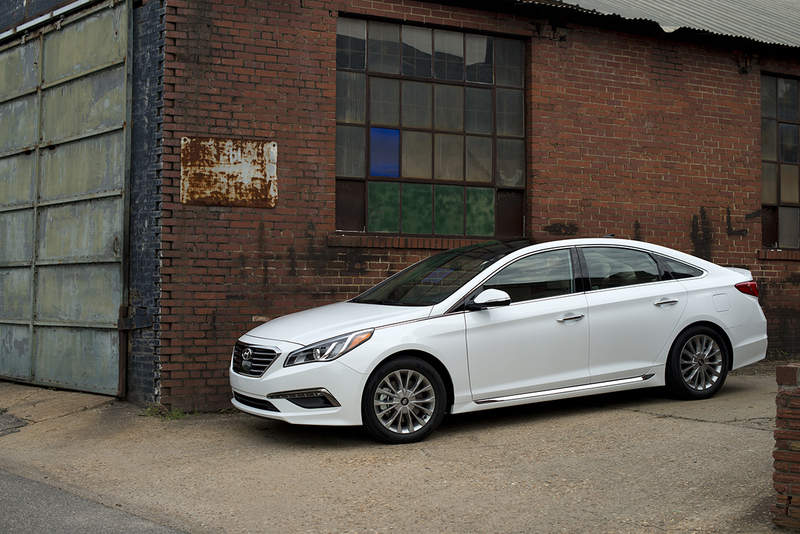 The 2015 Sonata begins at $21,150, with the base model $300 less than the model it replaces! Note: Photos that are not watermarked with Better in Bulk have been provided by Hyundai (because the trip photographer took much better pictures than I did, so why not show them off?). I think it would be fun to go see how the cars are made. My mom has a Sonata and I have to say it’s a very nice car. Wow what a nice looking car! They have some really neat features. Love the cooled and heated seats. wow the new Hundai Sonata looks very beautiful and the most exciting features i liked are Forward collision warning, blind spot detection, rear cross traffic alert, and lane departure warning system are all available which i have seen non in any of the cars and never heard off too. The car looks stunning with some over the top safety features. Nice looking car and I would LOVE to go on a tour like this one. I LOVE THAT THIS IS MADE IN AMERICA!!!!! Makes me like it even more bravo!!!! i love the way this car looks. i would have never guessed by the looks and features it was a hyundai. they have come so far. I love the look of this car! They were lucky to land that plant too! This would be very cool to take a tour here. The cars look awesome on the inside. Would love to take one for a test drive. That looks like a nice ride! I am wanting to get something a bit bigger but good on gas, might have to start car shopping soon, and I will be keeping the Hyundia Sonata in mind! I think it would be neat to tour a plant, my friend has a sonata for a few years and loves it! I bet the newer version is even more awesome. I really like the look of that car! I need a new one, heck even a not so new one. Sure would have been nice if they’d have given you one as a gift! Right?! Now that sounds like a fun outing! The car is so shiny, and has quite the list of features.